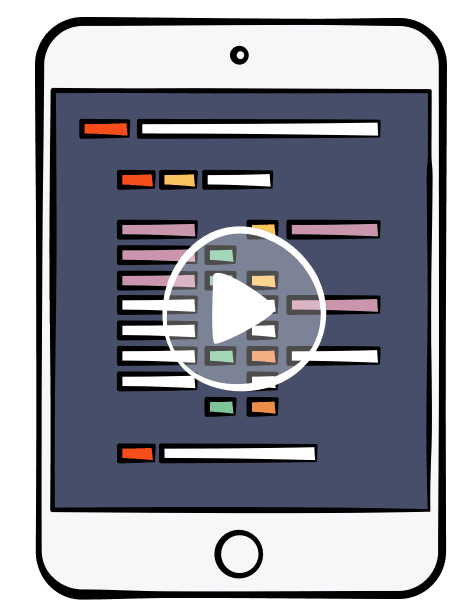 Learn iOS design patterns with Swift! This 23-chapter book starts with basic patterns like MVC, Delegate and Strategy, and then moves into more advanced patterns such as the Factory, Prototype, Multicast Delegate, Flyweight, Command, and more. 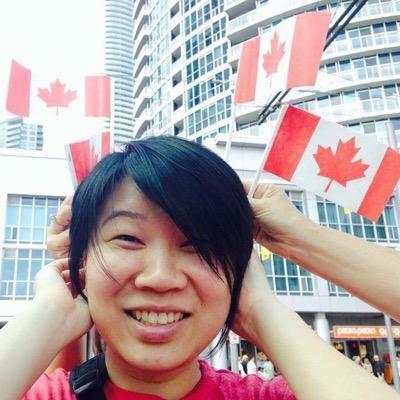 Design patterns are incredibly useful, no matter which language or platform you develop for. Every developer should know how to implement them, and most importantly, when to apply them. That's what you're going to learn in this book! 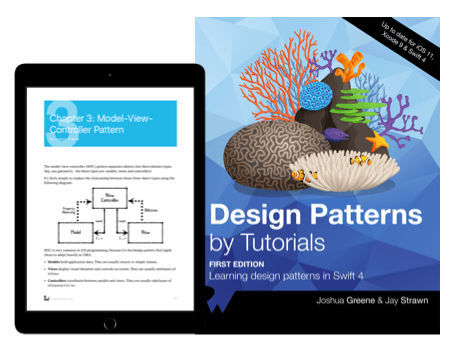 Learn design patterns with Swift! Design patterns aren’t concrete implementations, but rather, serve as starting points for writing code. They describe generic solutions to problems that many experienced developers have encountered many times before. What does this mean exactly...? Learn this and more in this chapter. ou may have heard of Unified Modeling Language, which is a standard language for creating class diagrams, architectural drawings and other system illustrations. 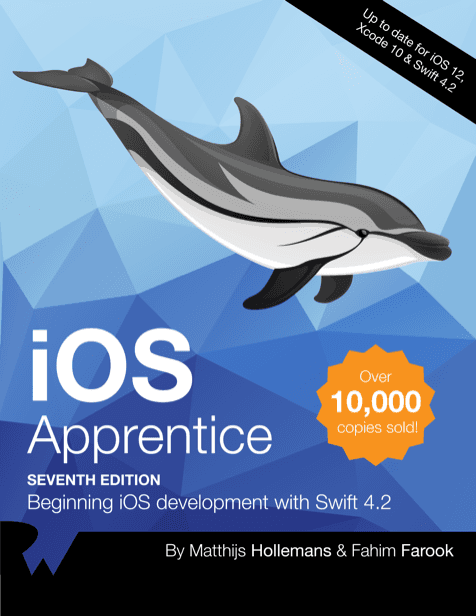 A complete discussion of UML is beyond the scope of this book, but you won't need to understand a lot of UML in your day-to-day iOS development. Instead, you'll learn a subset of UML in this chapter that's useful for creating class diagrams and describing design patterns. The model-view-controller (MVC) pattern separates objects into three distinct types: models, views and controllers! MVC is very common in iOS programming, because it's the design pattern that Apple chose to adopt heavily in UIKit. 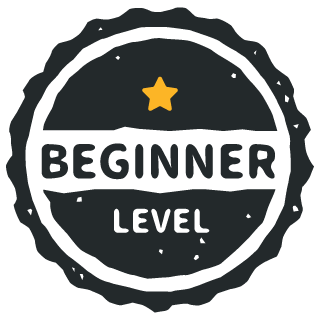 In this chapter you’ll implement the MVC pattern as you start to build out the first app in this book: RabbleWabble. The delegation pattern enables an object to use another “helper” object to provide data or perform a task rather than the task itself. By relying on a delegate protocol instead of a concrete object, the implementation is much more flexible: any object that implements the protocol can be used as the delegate! You'll continue the RabbleWabble app from the previous chapter, and add a menu controller to select the group of questions. The strategy pattern defines a family of interchangeable objects that can be set or switched at runtime: the object using a strategy, the strategy protocol, and the set of strategies. You continue to build out Rabble Wabble and learn how these three components work together in the strategy pattern. The singleton pattern restricts a class to only one instance. Every reference to the class refers to the same underlying instance. It is extremely common in iOS app development, because Apple makes extensive use of it. The memento pattern allows an object to be saved and restored. you can use this pattern to implement a save game system, where the originator is the game state (such as level, health, number of lives, etc), the memento is saved data, and the caretaker is the gaming system. You can also persist an array of mementos, representing a stack of previous states. You can use this to implement features such as undo/redo stacks in IDEs or graphics software. The observer pattern lets one object observe changes on another object. You’ll learn two different ways to implement the observer pattern in this chapter: using key value observation (KVO), and using an `Observable` wrapper. The builder pattern allows the creation of complex objects step-by-step, instead of all at once, via an initializer. For example, you can use this pattern to implement a “hamburger builder”. The product could be a“`hamburger” model, which has inputs such as meat selection, toppings and sauces. The director could be an “employee” object, which knows how to build hamburgers, or it could be a view controller that accepts inputs from the user. Use this pattern when you need to transform models into another representation for a view. This pattern compliments MVC especially well. You’ll embark on a new project — CoffeeQuest — to help you find the best coffee shops around. The factory pattern provides a way to create objects without exposing creation logic. Technically, there are multiple "flavors" of this pattern, including a simple factory, abstract factory and others. However, each of these share a common goal: to isolate object creation logic within its own construct. Classes, modules, and functions can’t always be modified, especially if they’re from a third-party library. Sometimes you have to adapt instead! You can create an adapter either by extending an existing class, or creating a new adapter class. This chapter will show you how to do both. The Iterator Pattern provides a standard way to loop through a collection. Use the iterator pattern when you have a class or struct that holds a group of ordered objects, and you want to make it iterable using a “for in” loop. Methods are merely functions that reside in a class. In this chapter, you’ll take a closer look at methods and see how to add methods onto classes that were created by someone else. You’ll also start in on a new project with this chapter: a drawing app named MirrorPad. The state pattern is a behavioral pattern that allows an object to change its behavior at runtime. It does so by changing its current state. "State" here means the set of data that describes how a given object should behave at a given time. The multicast delegate pattern is a behavioral pattern that’s a variation on the delegate pattern. It allows you to create one-to-many delegate relationships, instead of one-to-one relationships in a simple delegate. Use this pattern to create one-to-many delegate relationships. The facade pattern is a structural pattern that provides a simple interface to a complex system. Use this pattern whenever you have a system made up of multiple components and want to provide a simple way for users to perform complex tasks. This creational design pattern minimizes memory usage and processing. It also provides objects that all share the same underlying data, thus saving memory. Learn about flyweight objects and static methods to return them. This is a behavioral design pattern that encapsulates how objects, called colleagues for this pattern, communicate with one another. This pattern is useful to separate interactions between colleagues into an object, the mediator. Learn how to use it when you need one or more colleagues to act upon events initiated by another colleague. This is a structural pattern that groups a set of objects into a tree so that they may be manipulated as though they were one object. If your app's class hierarchy forms a branching pattern, trying to create two types of classes for branches and nodes can make it difficult for those classes to communicate. Learn how to reduce complexity and solve this problem with this pattern. This is a behavioral pattern that encapsulates information to perform an action into a command object. Learn how you can model the concept of executing an action and to use this pattern whenever you want to create actions that can be executed on different receivers. This is a behavioral design pattern that allows an event to be processed by one of many handlers. See how to use this pattern whenever you have a group of related objects that handle similar events but vary based on event type, attributes or something else related to the event. The coordinator pattern is a structural design pattern for organizing flow logic between view controllers. This pattern can be adopted for only part of an app, or it can be used as an “architectural pattern” to define the structure of an entire app. You’ll see both of these at work in this chapter. 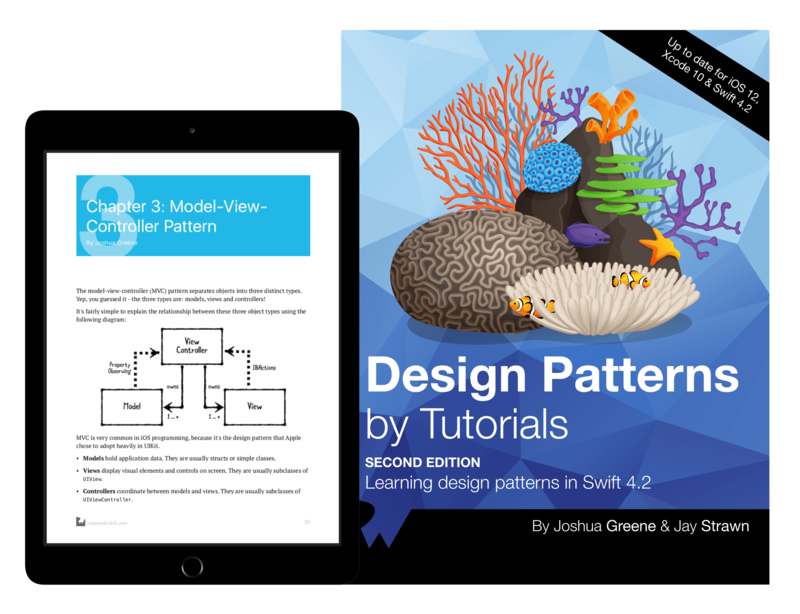 The book all iOS and macOS developers have all been waiting for: "Design Patterns by Tutorials” is the best of the wisdom of that gang of four written in Swift. Need a singleton that's ready to try in a playground, along with clear guidance about how to use it and not misuse it? This is your essential guide. Often times we talk to a duck to determine when we should be using or avoid an iOS design pattern. But why talk to a duck when you can find all your answers in the Design Patterns by Tutorial book? It also comes with great examples. The book is laid out great and the content is top notch. You can go straight to the table of contents to find the design pattern of interest or read the book from cover to cover. Hands on tutorials make all the difference and this book has them. I highly recommend this book!